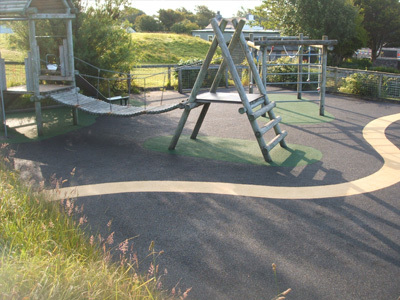 Wet Pour Safety Surfacing is a synthetic rubber surface designed to reduce the risk of injuries to children at play. 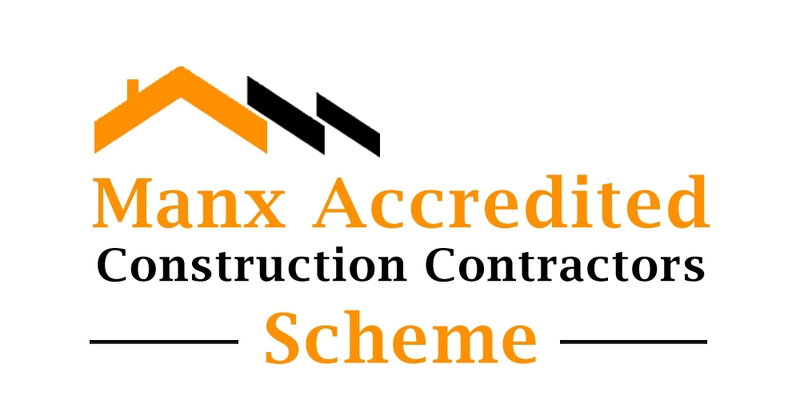 This product has been specially designed to BS EN 1177 standard. 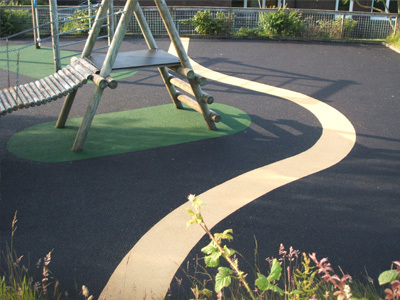 It is installed as a wet pour continuous surface that will produce an impact absorbing material that will cushion a fall and help to prevent a more serious injury. 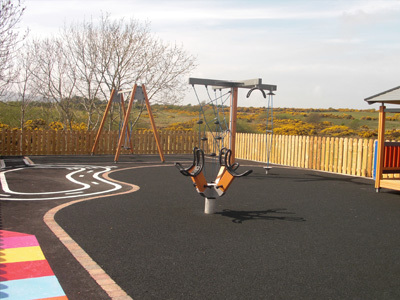 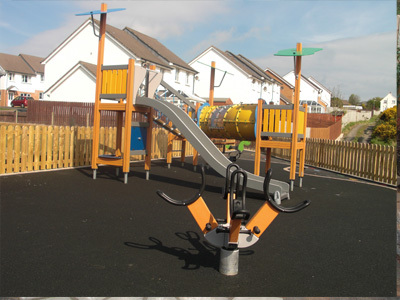 It is the perfect solution for children’s parks and recreational areas and is the preferred choice of many local authorities throughout the UK, and the Isle of Man. 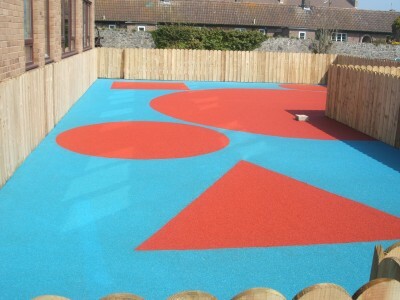 We are able to offer many designs in a range of colours to give a fun and visual play area. 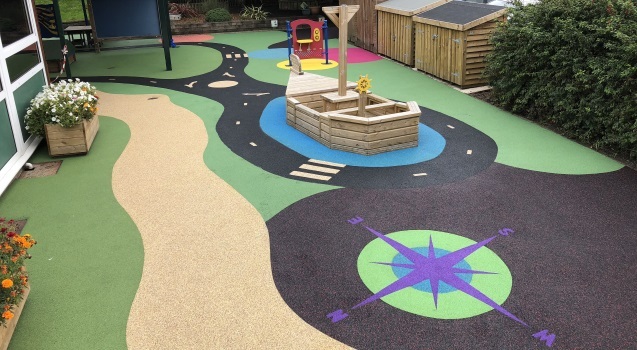 We are happy to provide quotes for any areas large or small and can carry out any essential repairs to existing surfaces caused by vandalism or wear and tear. 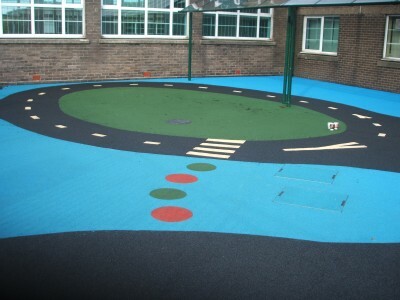 As well as laying safety surfaces J D Landscapes can also install play equipment. 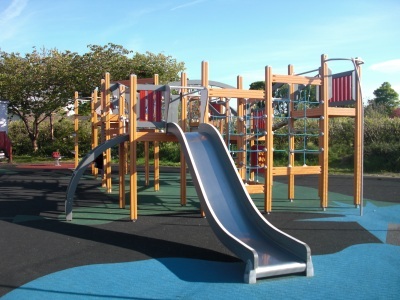 We can build your play area from design to completion. 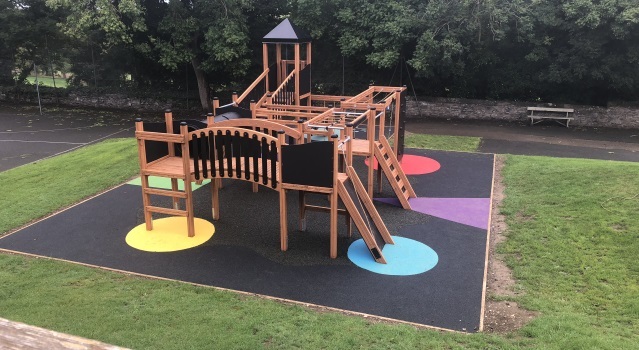 We are Lappset approved installers and working closely with Lappset Playworld UK we are able to offer a great range of new and exciting equipment to suit all age ranges and budgets. 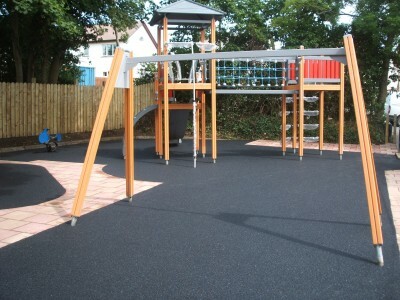 Please browse through our Gallery page to see pictures of works completed.